Zinc (Zn2+) is an essential element crucial for growth and development, and also plays a role in cell signaling for cellular processes like cell division and apoptosis. In the mammalian pancreas, Zn2+ is essential for the correct processing, storage, secretion, and action of insulin in beta (β)-cells. Insulin is stored inside secretory vesicles or granules, where two Zn2+ ions coordinate six insulin monomers to form the hexameric-structure on which maturated insulin crystals are based. The total Zn2+ content of the mammalian pancreas is among the highest in the body, and Zn2+ concentration reach millimolar levels in the interior of the dense-core granule. 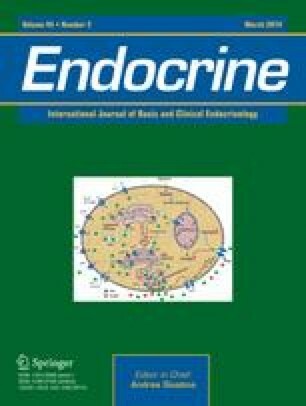 Changes in Zn2+ levels in the pancreas have been found to be associated with diabetes. Hence, the relationship between co-stored Zn2+ and insulin undoubtedly is critical to normal β-cell function. The advances in the field of Zn2+ biology over the last decade have facilitated our understanding of Zn2+ trafficking, its intracellular distribution and its storage. When exocytosis of insulin occurs, insulin granules fuse with the β-cell plasma membrane and release their contents, i.e., insulin as well as substantial amount of free Zn2+, into the extracellular space and the local circulation. Studies increasingly indicate that secreted Zn2+ has autocrine or paracrine signaling in β-cells or the neighboring cells. This review discusses the Zn2+ homeostasis in β-cells with emphasis on the potential signaling role of Zn2+ to islet biology. The author thanks Dr. Calvin James and Dr. Aili Guo for their advice and for careful reading of this manuscript, and specifically thanks Dr. Felicia Nowak for invitation and for commenting on the manuscript.